How to do computer clean up is a very important exercise. It helps you speed up the performance of your computer. However, in order to know how to perform a thorough computer clean up exercise, you need to understand how a computer deals with information. Whenever you use computer software, it uses a file or creates one. This means that in the long run you will have a computer that has many files some of which you no longer need. The My Documents folder in your computer acts like your personal folder. It has personal folders, which have been personalized, my music and my pictures. You may also have personal folders available to others who use your computer or make them private. Explore on how you can organize them in a way that will enable you recognize them. Copy and rename the files that are important to you. How best and easy you organize files in your computer depends on the duration within which you have been using the computer. This is because you know how you handle the saving application in your computer. However, files will always be saved in my documents by default. You can organize them by sorting them out into various categories. This could be by date, type, or even other means. 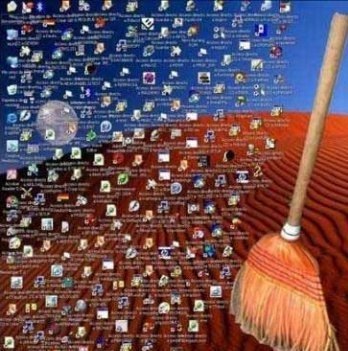 After finding and sorting your files in categories you understand better, it is now time to do the real computer clean up exercise. You delete files and documents you do not need in your computer. Sometimes, you may not be sure whether your files are safe. As such, it is important to have a backup before performing the computer clean up exercise.